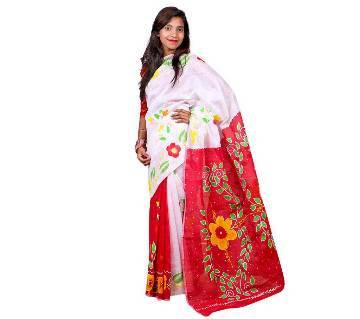 Dhanshiri tat cotton Saree . It's undeniable that the Pohela Boishakh is an integral part of our culture and heritage. This day is celebrated on 14th of April in each year as the commencement of “Bangla New Year” which is mainly known as “Noboborsho”. On this occasion, people from all walks of life come together to celebrate the tradition. The first and most popular things to do in the morning are to visit Ramna Batmul to attend the cultural function and then have a breakfast with “Panta Ilish”. Then people do get together with friends and family to celebrate the occasion and go to the Boishakhi Mela or go to the Boishakhi Concert. People wear traditional clothing like Saree and Panjabi. From kids to elderly people- each and everyone wears colorful Saree and Panjabi to celebrate the occasion together. The whole country looks colorful in this day which represents the tradition of Bangladesh. 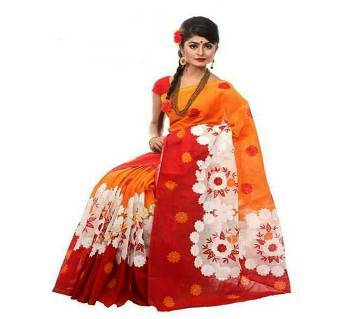 Women love to wear colorful saree in Pohela Boishakh. 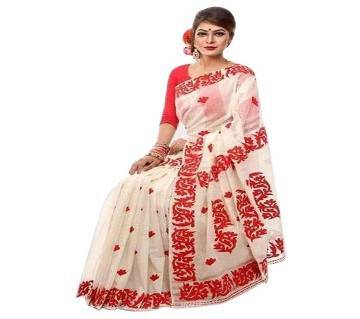 They also look very attractive in red-white saree combination. Boishakhi saree is the traditional outfit and all ages of women like to wear it . Besides, nowadays, women also wear colorful salwar, kurti and many other types of dresses. But among all of them, Boishakhi Saree is the most gorgeous looking dress. Buying these colorful dresses is also a hassle while roaming around the market for a long time. But there’s no need to worry now. 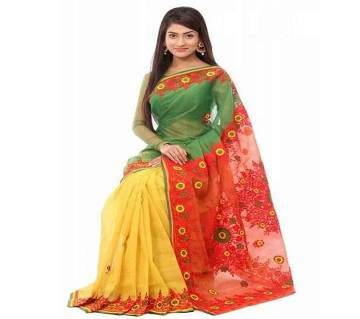 AjkerDeal.com offers you the latest collection of Boishakhi Sarees in the store from where you can look around thousands of sarees at a glance. 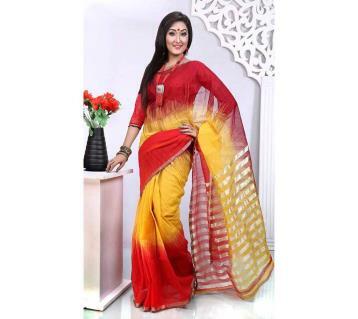 It will also be helpful for you to pick up the expected design and type of sarees without wasting lots of time. Check out the collection of Boishakhi Saree on AjkerDeal.com to grab your saree & get it delivered at your home. Just pick up your saree according to your budget, style, color and just place an order. All of our sarees are very good in quality. You don’t have to compromise with the measurement & comfort. Check out our Boishakhi Haat Collection and shop with AjkerDeal.com. Shuvo Noboborsho!